Below is the list of Dr. Ali’s published books. All are available at www.aliacademy.org. Many are also available as e-books for immediate download, also at www.aliacademy.org. Ali M: TheCortical Monkeyand Healing. Bloomfield, New Jersey. Life Span Books 1991. Ali M: The Butterfly and Life SpanNutrition. Denville, New Jersey, Life Span Books 1992. Ali M:The Ghoraa andLimbic Exercise. Denville, New Jersey, Life Span Books 1993. Ali M: The Canary andChronic Fatigue, Denville, New Jersey, Life Span Books 1994. Ali M:RDA:Rats, Drugs, and Assumptions. Denville, New Jersey, Life Span Books 1995. Ali M: What Do Lions Know AboutStress? Denville, New Jersey, Life Span Books 1996. Ali M:Healing, Miracles,and the Bite of the Gray Dog, Denville, New Jersey, Life Span Books 1997. Ali M.Oxygen and Aging. (Ist ed.) New York, Canary 21 Press. Aging Healthfully Book 2000. .
Ali M.September Eleven, 2005.New York, Aging Healthfully Book 2002. 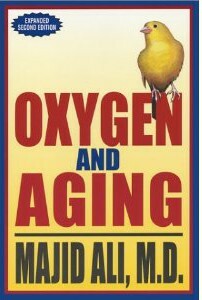 Ali M.Oxygen and Aging. (2nd ed.) New York, Canary 21 Press. 2004. 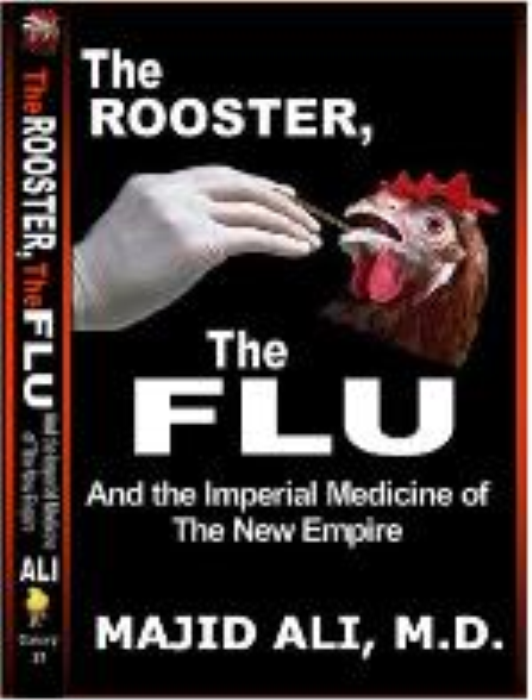 Ali M. The Rooster, theFlu,and the Imperial Medicine of the New Empire. New York. Canary 21 Press. 2006. Ali M. The Crab, Oxygen andCancer. Volume I: The Dysox Model of Cancer. 2007. New York, Canary 21 Press. Ali M. The Crab, Oxygen andCancer. Volume II: The Oxygen Protocol for Cancer. 2007. New York, Canary 21 Press. Ali M.Breast and Prostate cancer -Eco-monsters and Onco-monsters. 2006. New York, Canary 21 Press. Ali M. Oxygen, Darwin’s Drones, andDiabetes.Volume 1—Dr. Ali’s Plan for Reversing Diabetes. 2011. New York, Canary 21 Press. Ali M.Drone Democracy.2011. New York, Canary 21 Press. Nature’s Preoccupation With Complementarity and Contrariety. The History and Philosphy of Integrative Medicine. Metal Load and Toxicity: Mercury-Induced Dysoxygenosis. Oxygen Homeostasis, and Oxystatic Therapies. Ali M. The Principles and Practice of Integrative Medicine Volume I: Nature’s Preoccupation With Complementarity and Contrariety. New York. Canary 21 Press. 1998. 2nd edition 2005. Ali M. The Principles and Practice of Integrative Medicine Volume II: The History and Philosphy of Integrative Medicine. 2001. New York. Canary 21 Press. 1998. 2nd edition 2006. Ali M. The Principles and Practice of Integrative Medicine Volume X: Pathobiology by Micro-Ecologic Cellular and Macro-Ecologic Tissue-Organ Systems 1999. New York. Canary 21 Press. 1999. Ali M. The Principles and Practice of Integrative Medicine Volume IV: Integrative Immunology and Allergy: The Oxidati ve-Dysoxygenative Perspective. New York. Canary 21 Press. 1998. 2nd edition 2005. Ali M. The Principles and Practice of Integrative Medicine Volume V: Integrative Nutritional Medicine: Nutrition Seen Through the Prism of Oxygen Homeostasis. New York. Canary 21 Press. 1999. 2nd edition 2005. Ali M. The Principles and Practice of Integrative Medicine Volume VI: Integrative Cardiology and Chelation Therapies: The Oxidative-Dysoxygenative Model and Chelation Therapies. New York. Canary 21 Press. 2000. 2nd edition 2006. Ali M. The Principles and Practice of Integrative Medicine Volume VII: Heavy Metal Load and Toxicity: Mercury-Induced Dysoxygenosis. New York. Canary 21 Press. 2001. 2nd edition 2005. Ali M. The Principles and Practice of Integrative Medicine Volume IX: Integrative Oncology:The Oxygen Protocol. New York. Canary 21 Press. 2006. Ali M. The Principles and Practice of Integrative Medicine Volume X: Darwin, Oxygen Homeostasis, and Oxystatic Therapies. 3 rd. Edi. (2009) New York. Institute of Integrative Medicine Press. Ali M. The Principles and Practice of Integrative Medicine Volume XI: Darwin, Dysox, and Disease. 2000. 3rd. Edi. 2008.New York. (2009) Institute of Integrative Medicine Press. Ali M. The Principles and Practice of Integrative Medicine Volume XII: Darwin, Dysox, and Integrative Protocols. New York (2009). Institute of Integrative Medicine Press. Ali M. The Principles and Practice of Integrative Medicine Volume XIII: Mercury Toxicity and Detox. New York (2013). Institute of Integrative Medicine Press. Ali M, Fayemi AO: Pathology of Maintenance Hemodialysis. (1982). Springfield, C C Thomas. Gottlieb MI, Barnard EA, Kim CW, Tracht ME, Ali M, Ten Eick RC, Greenspan K (Eds. ): Basic Sciences, 6th ed. New York, Med Exam, 1974, 183 pp. Ali M, Braun EV, Fayemi AO: Pathology Review, 6th ed. New York, Med Exam, 1977, 345 pp. Ali M, Fayemi AO, Braun EV: Surgical Pathology Case Studies. New York, Med Exam, 1978, vol. 1, 488 pp. Ali M, Fayemi AO, Braun EV: Surgical Pathology Case Studies. New York, Med Exam, 1978, vol. 2, 519 pp. Ali M, Cohn SA, Fayemi AO et al: VISA Qualifying Examination Review. New York, Med Exam, 1978, vol. 1 (Basic Sciences), 193 pp. Ali M, Braun EV, Fayemi AO: Pathology. 7th ed. New York, Med Exam, 1980,370 pp.8. Abrams R, Ali M, Baker MA, Cohn SA, Fayemi AO et al: FLEX Review. New York, Med Exam, 1980, 359 pp. Ali M, Braun EV, Cohn SA, Dershwitz M, Fayemi AO, Glick DM, Greenspan K,Holbrook JH, Kim CW, Pieroni RE, Ten Eick RE, Thies W: National Boards Examination Review – Part I – Basic Sciences. New York, Med Exam, 1981, 604 pp. Fayemi AO, Braun EV, Ali M: Pathology Specialty Board Review, 5th ed. New York, Med Exam, 1984, 259 pp. Fayemi AO, Braun EV, Ali M: Pathology, 8th ed. New York, Med Exam, 1985, 294 pp.